6/15/2015, London, England. Pauline (accountant, bulimic nervosa, binge eater) was getting ready to start her new job at Bernard Wiggins Advertising Agency (BWAA) close by Hammersmith Park. They had 2 boys but a daughter had been still-born. Bob (40+, Pauline’s husband) was a taxi cab driver. 1 day Divesh (Indain, tax driver) ask him if he would like to make a little extra money. Bob agreed. Guess what his other line of work was? Florence (mother) had disinherited Edward. Charlie (chubby) was Sam’s 1/2-brother, who also lived in Cornwall. Uncle Edward (62, Edward’s father) lay in wait at the Hammersmith Park & then shot Sam (nephew) in the head. Marcus (Charlie’s biological father, Edward’s stepfather, wealthy man, resturant owner, Cornwall) had died sometime ago. Claire (50+, plump, BWAA, illistration dept.) worked with Pauline. As teens Edward was doing Tracy (f) & Carl (Edward’s BMF, foster child) was doing Moo (f) at/on Jersey beach. They were all 4 on LSD & virgins. Edward was hurt & had been taken to to A&E. Later Edward “Ed” & Carl went to Manchester U, majoring in electrical engineering. Charlie married Lara & opened up a Cornish seafood restaurant. Florence “Flo” (65+) had gone swimming & the cold water caused her heart to stop & she drowned. Edward was expelled from Manchester U.
Yrs. later Charlie & Lara had Sam Le Cornu (15, son) & then got a divorce over her promiscuous behavior. Many yrs. later Pauline & Claire were once again on the park bench at Hammersmith Park eating lunch together. 18 months later Claire was PG with James (fiancée, Flemming, Upkirk & Kilbride (FUK), publishing co.) unborn child. Yrs. later Edward meets Janine by accident. What does she reveal to him? Edward was paying for a DNA test to see if Danielle was really his daughter. Janine (Danielle’s mother) was there with him when he opened the envelope. BANG! Stuart (50+, postman) had been shot & Gill (journalist, agricultural magazine) was trying to help him. Edward Le Cornu (Florence’s son) was getting away. Charlie, Edward (1/2 Uncle) & Marcus had agreed on terms of the estate after their mother had died. Battersea area of London. BANG! Pauline (Bob’s wife, accountant) falls to the ground as Claire looks on in horror. BANG! Mungo is next. BANG! & a random bullet hits Maureen. P.C. Delaney is at the crime scene. Warning: This book contains extremely graphic adult content, violence, or expletive language &/or uncensored sexually explicit material which is only suitable for mature readers. It may be offensive to some readers. A very awesome book cover, great font & writing style. A fairly well written Paranormal Thriller book. It wasn’t alway very easy for me to read/follow from start/finish, but never a dull moment. There were no grammar/typo errors, nor any repetitive or out of line sequence sentences. Lots of exciting scenarios, with several twists/turns & a huge set of unique characters to keep track of. This could also make another great Paranormal Thriller movie, animated cartoon, or better yet a mini TV series. It was just OK for me but I will still rate it at 5 stars. 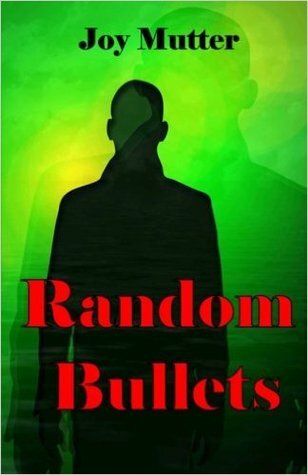 Sign into Goodreads to see if any of your friends have read Random Bullets.